The end of year is catching on to us, babes! That means Christmas is just around the corner, New Year is right after that; which means only 1 thing: SHOPPING!!! 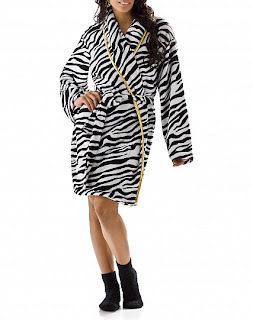 These GORGEOUS GORGEOUS plush robes are the PERFECT gift set to go for this Christmas! Oh and there's a pair of matching socks too, to go with these darlings; isn't that too sweet?!??!! 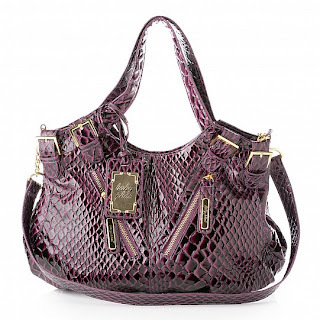 WARNING: This handbag is only for the ones who DARES to be different!!! 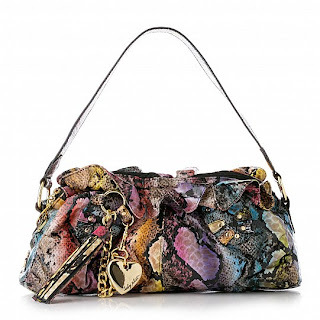 Snake skin-inspired design, the unique feature of this hobo is the multi-colour!! Goes really really well with a simple little black dress; it has a little heart pendant charm; an attention-stealer all by itself!! Can be worn with your little black dress; or look effortlessly FABULOUS with a clean white sun dress! Totally COOL!!! 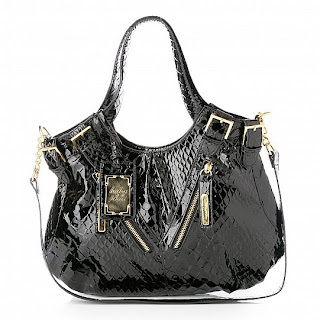 Oh-Em-Gee faux-snake leather design is SOOOO HOOTTT!!!! 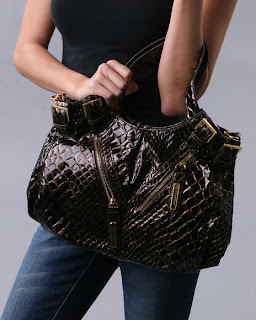 I love love love the logo embossed hardware and the unique zip pockets at the exterior; very discreet and stylish! A MUST-HAVE in every babes' wardrobe!!! * Available in Chocolate Brown, Black & Amethyst. Simple yet totally ADORABLE, this large birdcage designed-satchel has a top sip closure to the multi-functional internal compartments. Screams "UNLEASH ME!!!!" don't you think?? *Available in Teal & Black. Clean, clean lines; how cool is this babes?? It's like the handbags are carefully "caged" in! I personally LOVE the dual carrying chain handles; VERY Chanel without the price tag of course!! Pair this with a long tee and some leggings; and don't forget the gladiators, you're ready to go looking totally FABULOUS!! * Available in Grey, Teal & Black. This satchel is a "STELLARRR" babes!!! Glamorous, flirty & totally FABULOUS, this beauty is especially detailed by a magnetic flap closure embellished by studs and a link closure at front. I love love love the fact that it's not too huge; yet it's large enough to hold all your stuff. Be it at work or just out to the movies, take this gorgeous satchel out and you'll have a collection of admirers (and questions!) by the end of the day!! I personally LOVE the satchel in CHAMPAGNE babes, it really stands out! But hey, if you prefer the classic BLACK, it's equally gorgeous too!! * Available in Black & Champagne. 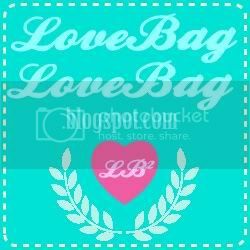 SPECIAL EDITION: Pink is LOVE! Hie babes, in conjunction with the recently-celebrated Breast Cancer Awareness Day, we decided it's time to go PINK!!! Take your pick, darls! Hie babes! Toptotoe20 has been reviewed, thx to the cool review blogs! Thanks for the continuous support, babes! Fashion is about being different. It's about being unique. Why be like everyone else when you can be exclusive? This beauty is an unusual shape for a hobo, but a beauty nevertheless. Rose tattoo printed, cinched flap with magnetic closure, this limited edition range GUARANTEES satisfaction: Style and function; all in 1 bag. What more can you ask for? We just can't get enough of this mini speedy, can we? This limited edition range has rose tattoo graphic patterns written all over it, it really DOES make a statement, right babes? Total LOVE!! My Price:RM260 ONLY!!! RM240 ONLY!!! Hello gorgeous!!! Parade around with this simply darling tote; to class or to the movies with the girls! Regardless of the occasion, this simple yet elegant tote is ready to be envied by girls (and some guys!) all around you! * Available in Black & Off-White.